I left Florence two months ago, at the start of November. 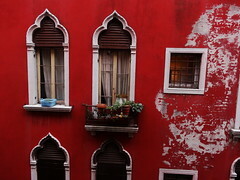 This city has stuck to my heart like the most bittersweet love, and like the freckles on a lover’s cheek I remember the small details that make this place so special. 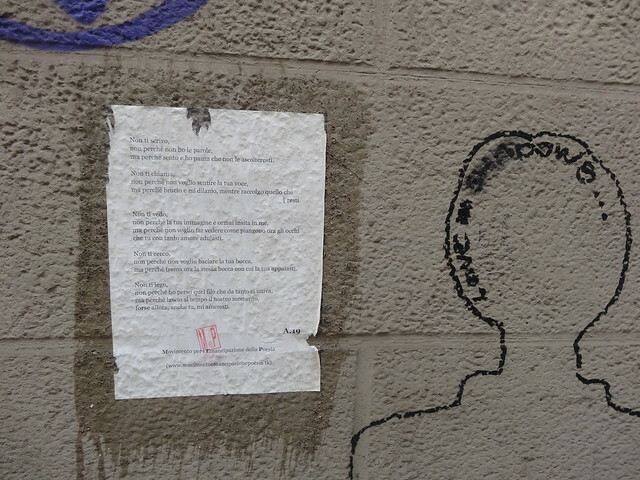 I love Florence for the poetry you can find pasted like movie posters on street corners. 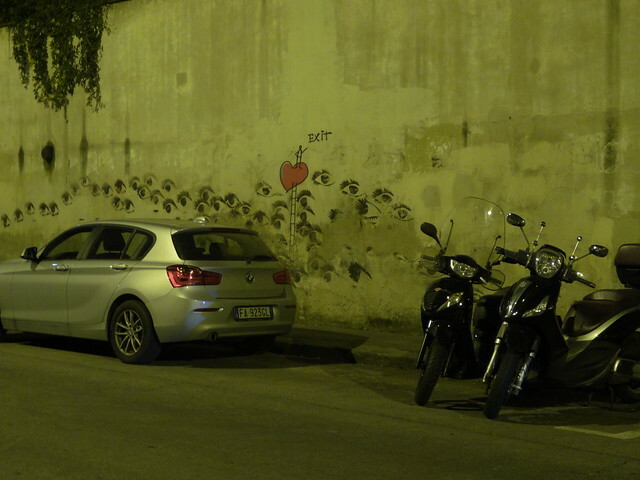 I love Florence for the eyes that are always watching, and the wee stick figure citizens who live on its ochre walls. 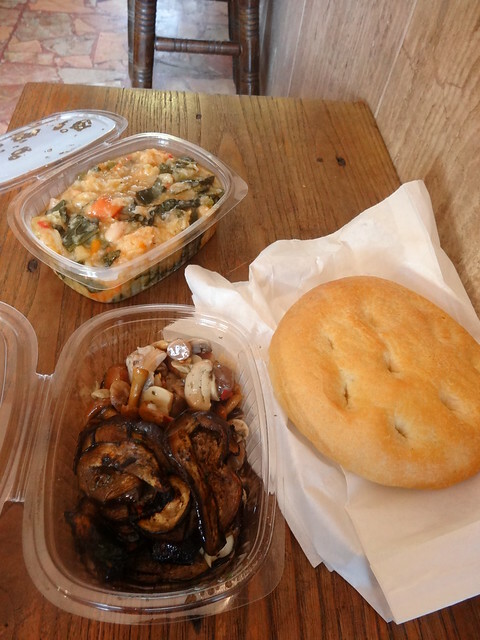 I love Florence for ribollita, its humble stew of chickpeas, kale and soggy bread, which you can get for a pittance just about anywhere in the city. 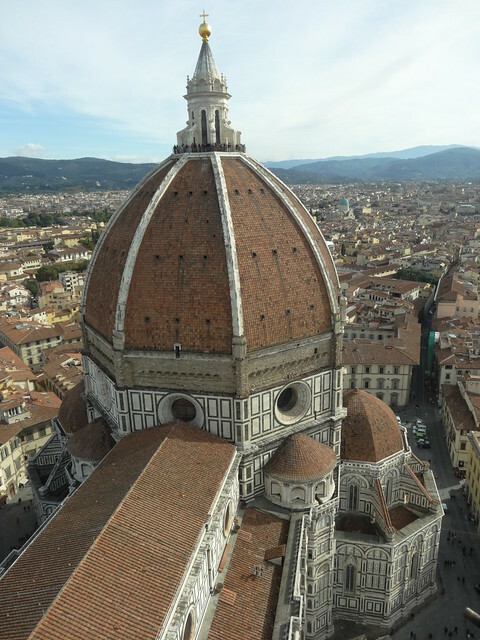 I love Florence for the Duomo, which towers above the city and seems to peer over the rooftops of so many buildings like a curious alien giant that wants to see what all those little ant-like humans are up to. 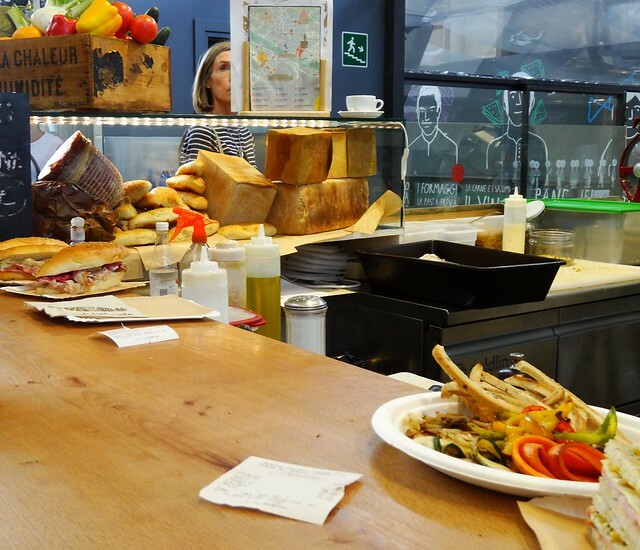 I love Florence for the Mercato Centrale and it’s overwhelming culinary delights–even if they are made for tourists. I love Florence for the funny way people speak. They don’t pronounce the ‘C’ in the Tuscan dialect. 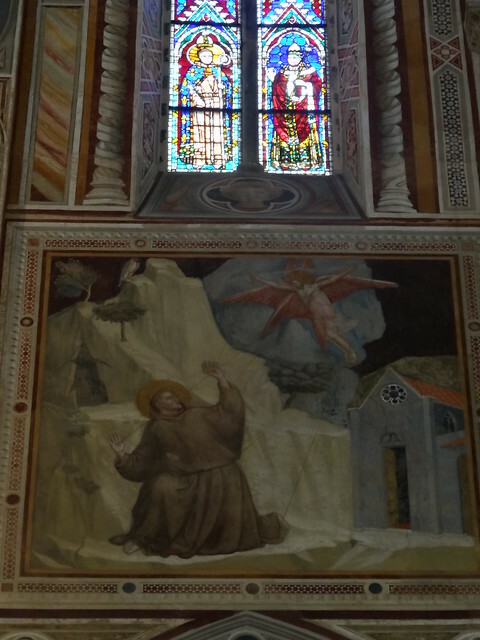 I love Florence for Giotto’s frescoes of the life of Saint Francis, including this lovely scene of the stigmata, where Jesus is firin his lazer at Francis, basically the most famous hippie from the Middle Ages. 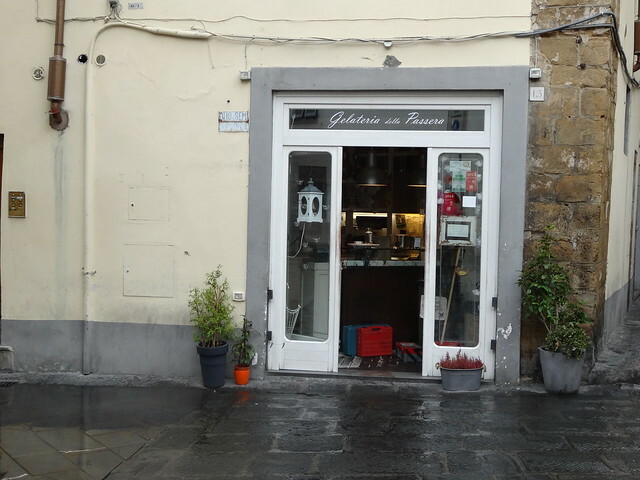 I love Florence for hangouts on the south side of the Arno, especially Piazza della Passera and the excellent gelateria there. And Piazza Santo Spirito, where you can buy a good used sweater for a few bucks during the morning market and be serenaded by drunken guitarists at night. 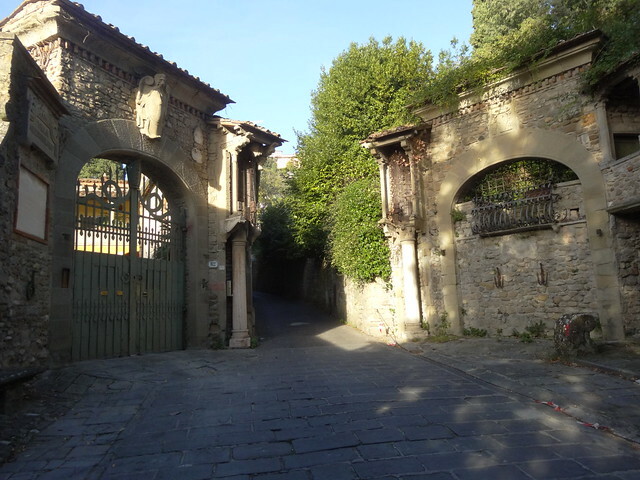 I love Florence for the hills that rise up above the city, and the long meandering trudge past olive groves and gated manors with oak trees and cypresses on the way to Fiesole. 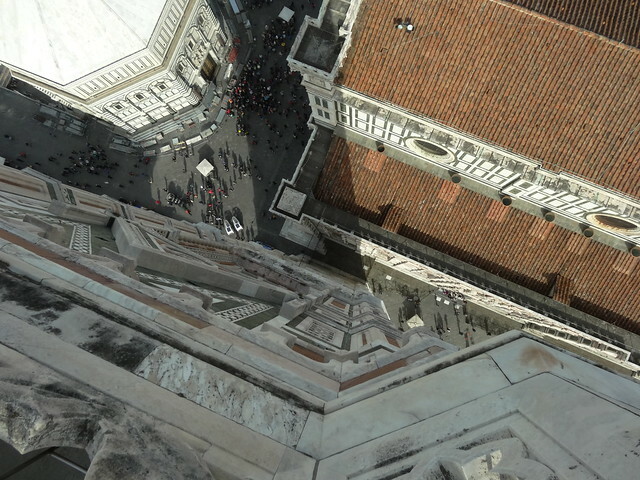 I love Florence from atop the Campanile, where I can finally look the Duomo straight in the eye instead of looking up at it. I love Florence even though I’m not a big fan of heights, and certainly didn’t enjoy the extremely claustrophobic stairwell inside the Campanile. 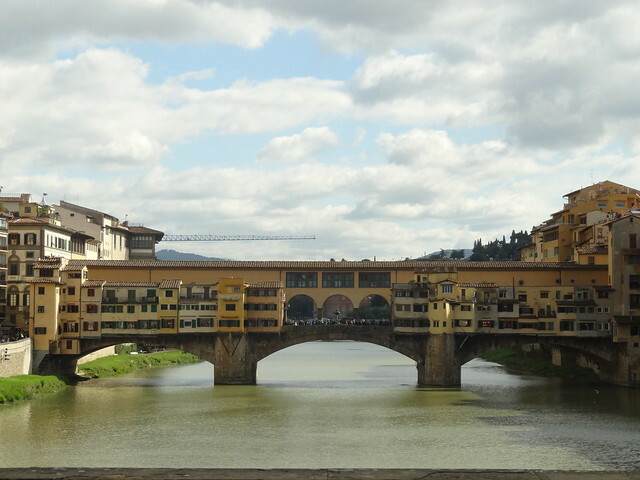 I love Florence despite the fact that the Ponte Vecchio is nothing more than a bridge selling jewelry, and I don’t see why it’s such a big deal. If you want to purchase something truly memorable, just keep walking west along the river til you get to Parco delle Cascine, and you’ll be sure to bump into a dealer or two with something special just for you. Posted in Art, Beauty, RenaissanceTagged architecture, Florence, Italy, nom nom, street art, things I love about Florence, tourism, travel, TuscanyBookmark the permalink. Thanks for sharing this post 🙂 Have you been to Florence before? 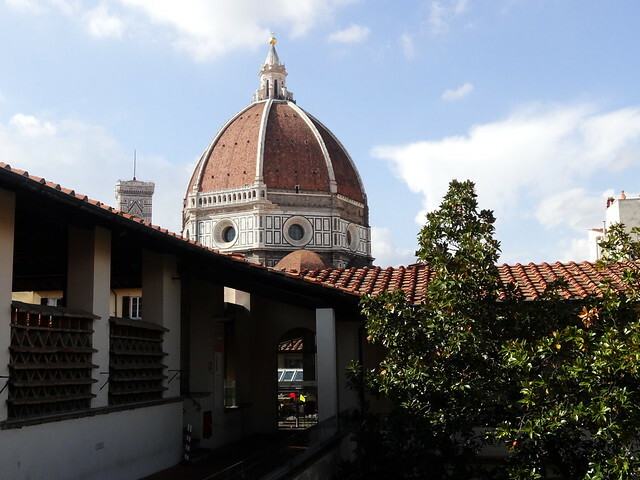 Yes, just returned from Florence a few months ago. 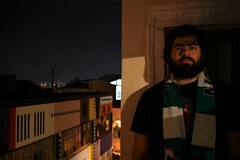 Loved the city. Hope to go back and do more exploring. Also went to Assisi after that, by train. What an experience.